We went to Steamboat Springs for New Years eve, and I knew that the motel continental breakfast wasn’t for everyone. I mean, the boys love a good toaster waffle, and I secretly love taking a break from making breakfast, but a continental breakfast can only take you so far. When you are headed up to snowboard for hours in sub-zero temps you need a little something extra. So I made banana bread to take with us. I mostly follow this Cooking Light recipe – sub full fat vanilla yogurt for lowfat yogurt, and since the yogurt is sweetened, I put in 75% of the sugar. It’s so good. 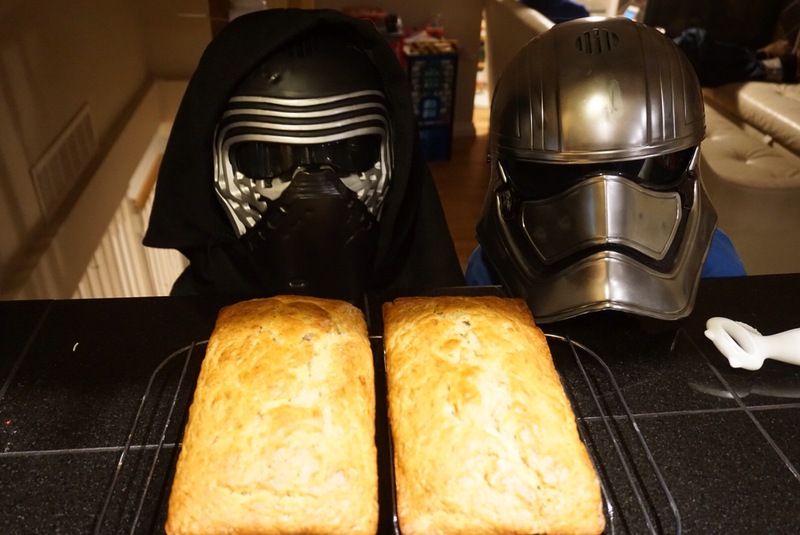 This entry was posted in food and tagged banana, bread, breakfast on January 8, 2016 by metamegan. I hope the bread was as good as the picture!